This review for Temporada has taken me a month to put up. Why? I’d say it’s due to my complete laziness, and the fact that I’m never out of the kitchen, cooking, long enough to actually write reviews of where I’ve been when out of the kitchen. Temporada was a restaurant that had been on my To Do list for donkey’s, but I seem to only get to the trendiest of restaurants in Canberra when my friend A is in Canberra, over from the Solomon Islands. Which is probably a good thing, as it gives me time to save up, when she’s not in the country. We do like to dine out together. Righto, on to the food. Sigh, the food. This was one of those dining experiences that don’t happen often. Well, to me anyway, considering we mostly dine in club bistro’s. Not a thing went wrong on this evening. Every aspect of our experience on this Friday night, the early shift, was great. The restaurant wasn’t busy at this time of the evening; we were eating early as I was reviewing the opening evening of High Fidelity, a musical being put on at the ANU, and we needed to be out of there by 7.30. I was very keen to get to Temporada knowing that Wapengo Rocks had just delivered a big bag of their oysters, fresh out of the water. These are my most favourite oysters of all. If you’re an oyster lover and haven’t tried them, you simply must. They just took out 3rd place in the Sydney Royal Show, they’re that good (although I reckon they should’ve taken out first). We started with 4 of the Wapengo and 4 of the Pambula Rocks, 2 of each wood fired and 2 natural, with a simple shallot and vinegar dipping sauce. I’ve never tried wood fired oysters and these were sublime. You know when you try something for the first time and you say to yourself “Jesus, Mary and Joseph, where have you been all my life?”. This was one of those moments. Wow. The wood fired Wapengo on the left, was hot, plump, smokey and irony, all the things you want in a perfect oyster experience. I’m going to get a bag of these lovelies sent to me and wood fire them over our little backyard fire pit. Wowsers. Even a month later I can still taste them. I ordered a glass of Unico Zelo Sauvignon Blanc, and it was perfect with the oysters; crisp, a little spicy, not too dry, it bought out the smokiness of the oysters without being lost. I really liked this wine and will need to get a few bottles of it for the warmer months, to drink with some freshly shucked Wapengo’s. It’s a really well priced Adelaide Hills wine at $19.99. I could’ve eaten this all night and been happy. But on to the mains. A and I shared 2 mains and a side. Given more time on another night, we’d probably order more. Although, not on the cheaper side of the bill, the food is definitely worth every penny and we were left wanting more. It was really difficult for us to choose, but choose we did and up first was the wood fired rangers valley wagyu rump cap, grilled onions and persillade. Not knowing what persillade was we googled it – parsley, garlic, lemon juice and olive oil. 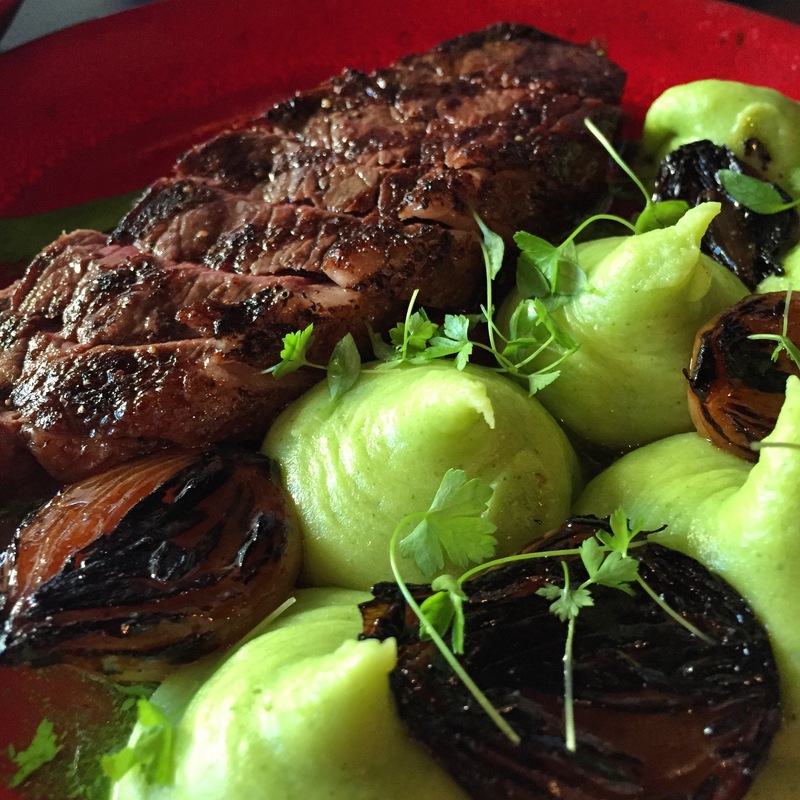 The wagyu was cooked to perfection, seasoned well, and the mash ? divine. The onions were sweet, caramelised and tangy, also holding on to the smokey grillness which they use for the cooking method of so many of their dishes here. The juices were eagerly mopped up by both of us and it was deemed a meat and 3 veg (parsely can be a veg here) to die for. Simplicity done beautifully well. A chose an Argentian Tanat, whereas I normally try to drink as local as possible, she drinks round the world. It’s a good combination. She thoroughly enjoyed this, and the little I tasted I was suitably impressed. Deep, rich and a dark body to it. I know absolutely nothing of Argentian wines, so I shall just stop there and say, yep, it was good. This side of grilled corn on the cob with lime and butter, pfft. 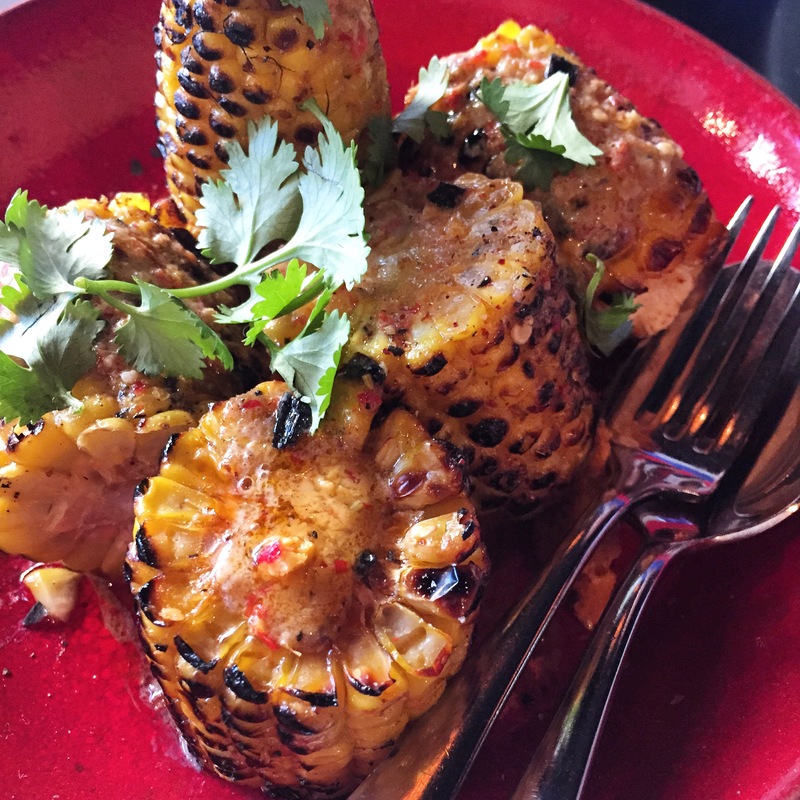 To read the description you’d think that you were going to get grilled corn on the cob with lime and butter! But what you actually get is otherwordly. Give me a bucket of this, the below Eden Road Shiraz and I’d say see ya in a week. This was sublime; citrusy, salty, corny, tangy, buttery, a hit of spice from the chilli and the coriander. This was a thing of beauty. A real crowd pleaser, and I’m asking myself as I type this, why haven’t I done this at home yet? Probably because I’d be sadly deflated that it didn’t taste as bloody beautiful as it did on this night. Anyway, I liked the corn. My choice of wine for the mains was this Eden Road Shiraz. If you’ve seen my Instagram feed you’d know I was an Eden Road fan. Get onto it. From near Gundagai, it’s a great drop, and reasonable enough that I’ll drink a glass of this once a week. Aint got no time for bad wine, eh? 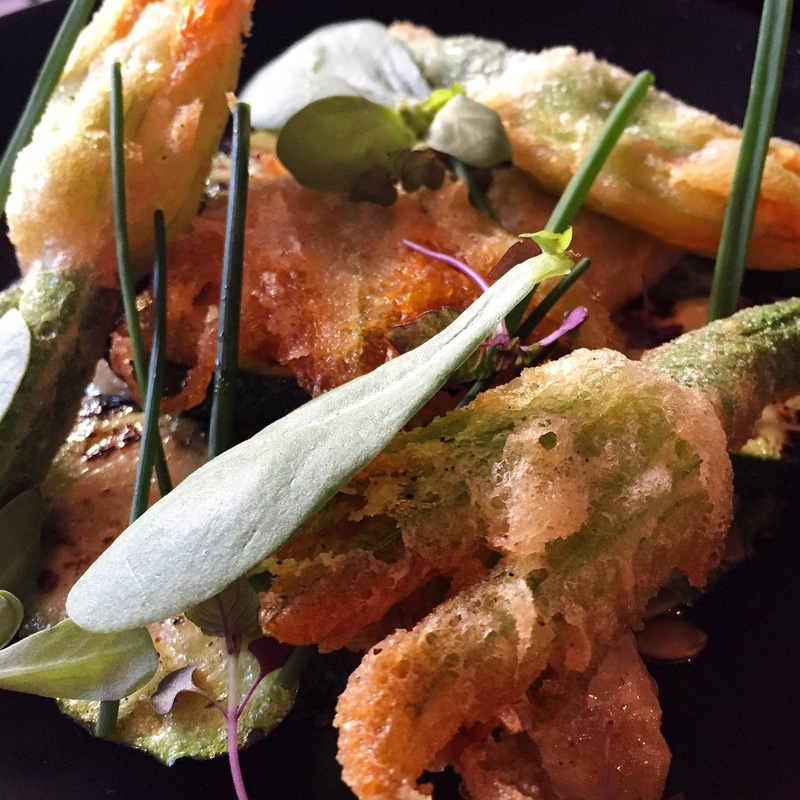 A chose this vegetarian dish of crispy zucchini flowers, ricotta gnudi, salsa verde and buttermilk. I liked this dish, it was tasty, don’t get me wrong, but the steak and corn were the winners on this evening for me. This was lovely and light, the batter crispy and hot, the flowers delicate and tasty, a very well seasoned and polished dish. There were some lovely lengths of grilled zucchini under there, again showing off the chefs skill with the wood fired grill. I don’t know what the greens are on top? Here they are, all 3 nestled comfortably on our small table for two. We had to rush off to our musical number for the evening so didn’t get a chance to try the dessert menu, but believe you me, when A get’s back to this country, it’s our first stop. The service was attentive and Sarah was all too happy to explain the dishes, how they were cooked and to agree with me on my wine choices. We need to try everything else on the menu. And I need that corn back in my life. Kirsty, happy to continue to dine out for your pleasure, but I will have to turn to crowd sourced funding soon 🙂 Look, we sat there and googled a fair bit of it too and I’m a foodie and she’s a chef! Well, worth it though. this place definitely looks the business! I REALLY regret not believing in the restorative powers of the oyster when we lived down under…definitely top of my list whenever we get back for a visit! Yeah, it sure is the biz. The food looks great, which is just well given the prices. I certainly don’t m mind paying for a meal that lives up to expectations and this sounds terrific 🙂 The wood fired oysters would definitely be on my plate too, how yummy! Becc it’s definitely a special occasion dining event, that’s for sure. But I’ll be back for dessert in the near future. Sounds like a fabulous meal Fran and always good to hear about another fabulous Canberra restaurant. We don’t tend to go to the big name restaurants either (I only went to Aubergine for the first time a couple of weeks ago for my birthday) but always good to have a few names in mind when we get the rare chance! Absolutely, Beck. I do love going out to dinner but it’s got to be a real special Occassion for me to go out out! But you should keep this place in mind for a treat night out. 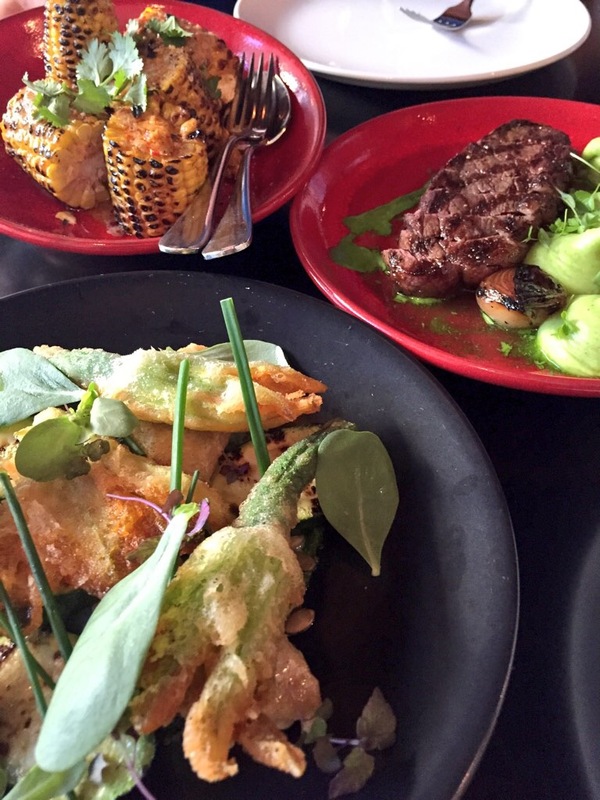 I’ve not been in a while, must visit soon – the food looks delish! Yeah, we’ve decided we need to go back, definitely.